There are many of Cézanne’s paintings on display in museums all over the world, such as The Museum Of Modern Art in New York City and Musee d’Orsay in Paris. Back in 2005, I got to see the MoMa special exhibit called “Pioneering Modern Painting: Cézanne and Pissarro 1865–1885,” which presented the work of Paul Cézanne and Camille Pissarro in the context of their artistic relationship. 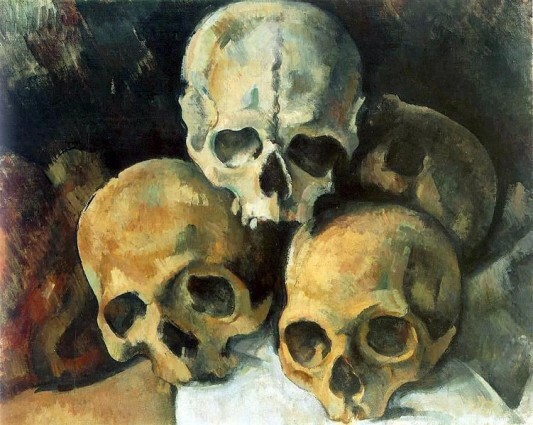 The Guardian has a great piece today on Cézanne, Paul Cézanne at 172: still life and landscapes run deep, and you can find images of hundreds of Cézanne’s works over at www.paul-cezanne.org.